Wisconsin Voters Elect Judge Rebecca Dallet To State Supreme Court Before Judge Rebecca Dallet's win on Tuesday, big-name Democrats from around the country endorsed her for Wisconsin's Supreme Court, hoping to build party momentum ahead of the fall midterm elections. Tuesday, Milwaukee County Circuit Court Judge Rebecca Dallet won a 10-year seat on Wisconsin's Supreme Court. The supposedly nonpartisan race turned out to be a partisan-driven slugfest heading into the fall midterms. In Wisconsin Tuesday, Milwaukee County Judge Rebecca Dallet won a seat on the state Supreme Court, riding a wave of Democratic enthusiasm to victory in this (officially) nonpartisan election. The race drew national attention, mostly from big-name Democrats from around the country who saw it as an opportunity build momentum before the general election in November. 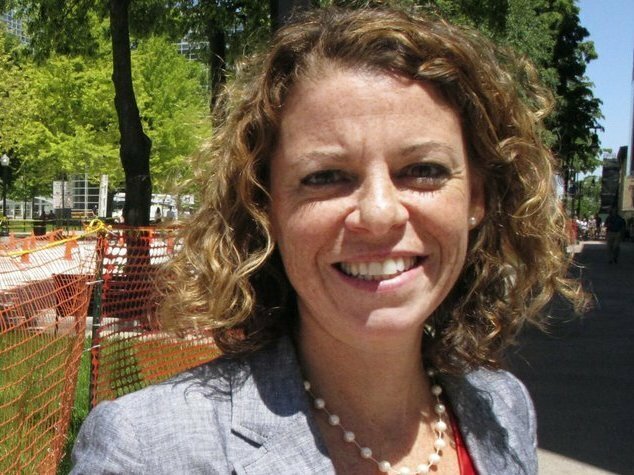 "I think my message resonated with Wisconsinites," Dallet told supporters in Milwaukee Tuesday night. "People are tired of special interests ruling and wanted to speak up." With the win, she will replace outgoing conservative Justice Michael Gableman, bringing the court's 5-2 conservative majority down to 4-3. While the state's Supreme Court seats are non-partisan, candidates have long found ways to send hints about their political leanings, but this year's race was overtly partisan. Her endorsements came from former U.S. Attorney General Eric Holder, former Vice President Joe Biden and New Jersey Sen. Cory Booker. Holder's National Democratic Redistricting Committee ran ads on Dallet's behalf, and he campaigned for her last month during stops in Wisconsin. In a statement Tuesday night, Holder said, "Today, the voters of Wisconsin took a critical first step toward a state government that better reflects their needs and interests." Screnock, meanwhile, argued Dallet's overtures to Democrats showed she would be an "activist" on the court, but Screnock himself received $300,000 from the Republican Party of Wisconsin, the most a political party has ever spent on a Supreme Court candidate in the state's history. His campaign was also endorsed by conservative groups ranging from Wisconsin Manufacturers and Commerce to the National Rifle Association. Gov. Scott Walker, who appointed Screnock to the Sauk County Circuit Court, also endorsed him. "Tonight's results show we are at risk of a #BlueWave in WI," Walker said in a tweet after the results were announced. "The Far Left is driven by anger & hatred — we must counter it with optimism & organization. Let's share our positive story with voters & win in November." As a private attorney, Screnock defended Walker's collective bargaining law and the Republican-drawn redistricting plan that is now before the U.S. Supreme Court. Dallet's victory gives another indication that the 2018 general election could favor Democrats, following a string of special election victories for Democrats around the country. She will be sworn in as Justice on Aug. 1.